Following eight years away from a baseball diamond (save some instructional work for the San Francisco Giants), with lawsuits and steroid controversies clouding his legacy, the Home Run King is back in Major League Baseball. The Miami Marlins officially announced Barry Bonds as the team’s new hitting coach, and he will join Don Mattingly’s coaching staff for 2016. Bonds has been baseball’s greatest pariah since he played his last game with the Giants in 2007, with steroid allegations heavily cemented in books like Game of Shadows keeping him out of the Hall of Fame since his eligibility first began. Still, to doubt Bonds’s offensive acumen would be silly, and this could be a very beneficial signing for the Marlins. Here are three takeaways on the move. 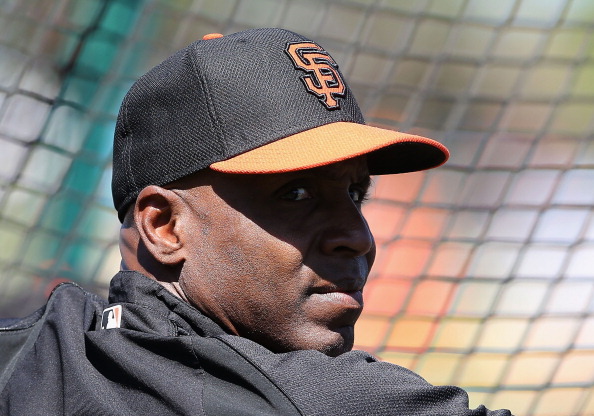 In his many years in baseball, Barry Bonds was renowned as an arrogant superstar who was able to drain anything he wanted out of the Giants organization. When you think of the temperamental, overpaid athlete, Bonds is the poster boy. All of those years in baseball didn’t make him stupid, however. He knows the role of a hitting coach and that he’s not the boss. If he checks his ego at the door, his wisdom of hitting mechanics should rub off on the Marlins’ young hitters very nicely. Mattingly and Co. just have to hope he isn’t the reprise of Tino Martinez. Barry Bonds was not simply a prodigious power hitter. He was a smart five-tool player in his prime and nothing ever seemed to faze him on the field. He knows what it takes to hit big league pitching better than most. With a crop of talented young offensive players, Bonds can share his experiences to the advantage of his hitters, and maybe they’ll pick up on the positive aspects of his swagger. The biggest problem for Bonds will be his attitude in coaching. If he instructs hitters with openness and care, his impact could be as big as his elbow-guard was in 2002. He could take Giancarlo Stanton to an entirely new level, assuming he can advance farther than he already is. However, if he instructs in a brash “my way or the highway” manner, he’ll likely alienate people very quickly. A change in an overall culture begins with one, and then a domino effect takes place that makes a formerly unheard-of idea commonplace. When Game of Shadows and the Mitchell Report were released publicly, nobody was more reviled in baseball circles than Barry Bonds. With Tony La Russa hiring Mark McGwire years ago as a hitting coach, with Alex Rodriguez earning a decent public reception in his return last season, and now with the Marlins welcoming Bonds to their organization, the anger and frustration of the so-called “steroid era” seems to be dissipating as more teams welcome players back to baseball, despite their histories. As Bonds enters 2016 on the Marlins payroll, one has to wonder how public perception of his era may – and will – change. Maybe Roger Clemens will be a pitching coach in due time? A quip like this makes yours truly very excited for interviews from here on out.